The presence of bees or wasps is not only an annoyance, but can present a danger to residents, employees, visitors, and more. If one is allergic to the venom present in a bee’s or wasp’s sting, one single encounter could be deadly. Even for those who are not allergic to bees or wasps, risking multiple stings from either poses a huge health threat. There are many species of bees and wasps; some species, such as Africanized bees (sometimes called killer bees) are more aggressive and quick to attack when they are disturbed. 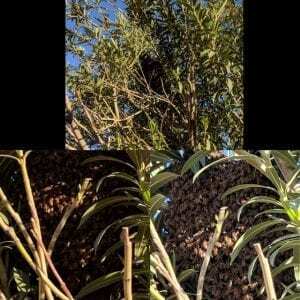 While Africanized bees are not native to the Phoenix area, they have moved in and made themselves at home. We urge you to call our bee and wasp control experts upon discovery, as most species are quick to sting when agitated. Our technicians will use reactive bee and wasp control treatments to get rid of existing bee or wasps colonies and their active nests on your property. They will also implement preventative service to keep bees and wasps from establishing and building nests on your premises. Though bees are often associated with wasps (both have a painful sting), both are quite different in appearance and attributes. Bees are only able to sting a victim once, and they do so as a defense mechanism if they see you as a threat. There are many species of bees found in the United States, a few of which include: honey bees, bumble bees, carpenter bees, and more. Each species is different, which is why it’s crucial to have a professional exterminator implement a successful bee control plan so you don’t run the risk of bee stings. 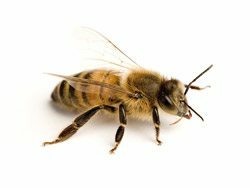 Here at Convenient Termite and Pest Control, our pest control experts have the tools and expertise needed to protect your home from the threat of bees. We use a method of preventative pest management plans and reactive treatments to eliminate existing bees and prevent bees from nesting on your property in the future. Life Cycle: While workers and males die during the winter, the inseminated Queen will reside in a sheltered place and become active in the spring when the weather starts warming up. She then starts looking for the ideal area to build her nest and start laying eggs. Treatment: Spring is the perfect time to have your home or business inspected. Our technicians will locate and remove any old nests from the previous year and apply a treatment to prevent bees and wasps from building new nests. We recommend having your home or property inspected once a year, and doing this before bees and wasps become active in the spring is best. Allow our technicians to successfully eliminate present bees from your property, as well as protect your premises from the threat of future bee infestation. Unlike bees, wasps are able to sting repeatedly. Only females possess stingers, as the stinger is technically a modified organ for laying-eggs. Wasps are social creatures, dwelling in colonies – each with its designated queen, males, and workers. 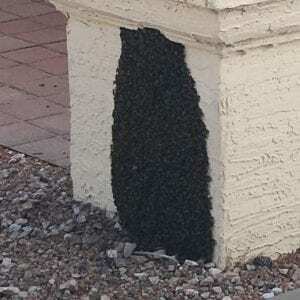 If you notice wasps on or around your property on a regular basis, it’s crucial that you invest in effective wasp control in Mesa, AZ. That’s where we come in. Our highly skilled technicians can stop your wasp infestation at the source. They’ll implement a personalized treatment and prevention plan to eliminate all signs of existing wasps while protecting your home or commercial property from future wasps. Treatment and Prevention: Similar to the bee life cycle, wasps are also most active in the spring. Spring is the best time for our technicians to locate and remove wasp nests while implementing a treatment to prevent future wasps from nesting in the area. Having your property inspected on a regular basis will greatly reduce the chance of wasp activity in or near your home or business.  As providers of reliable and affordable treatment, investing in us for routine inspections is a decision you won’t regret.